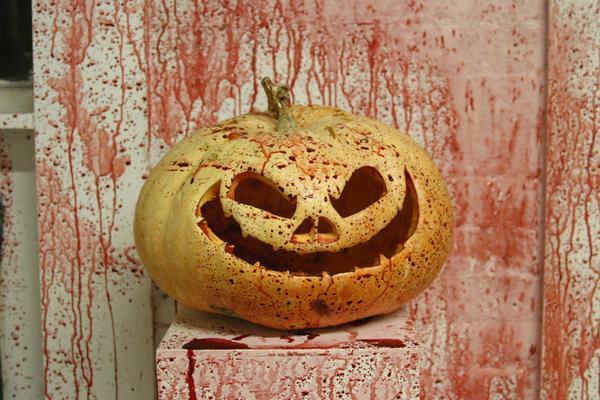 A man is invited to a "murder party" on Halloween night. 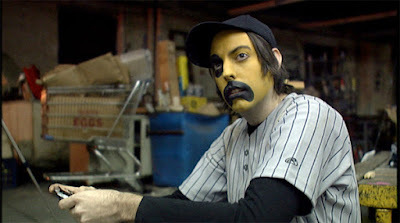 What he thinks is a normal costume party turns out to be a gathering of a group of artists who want to sacrifice an unsuspecting victim to their "craft." If you received an invitation to a "murder party" on Halloween, should you expect to be murdered there? "Murder Party" is written and directed by Jeremy Saulnier. This micro-budget film serves as Saulnier's feature film debut, though he would go on to direct other critical and cult horror hits like "Blue Ruin" and "Green Room." This film revolves around a seemingly lonely man named Christopher (Chris Sharp), who lives alone with his cat. He had intended to stay at home and watch scary movies on Halloween night, but as fate would have it, he stumbles on an invitation to something called a "murder party." Desperate for fun, he slaps together a suit of armor out of cardboard and heads to what he thinks is a costume party. Once there, he enters an isolated warehouse where a group of artists plans to kill whatever person is dumb enough to accept an invitation to their shindig. Being artists, this murder must be carried out in a creative manner, at the perfect time, for the sake of their craft, and well, things don't go quite as planned. Jeremy Saulnier has become known for making low budget films filled with graphic violence. 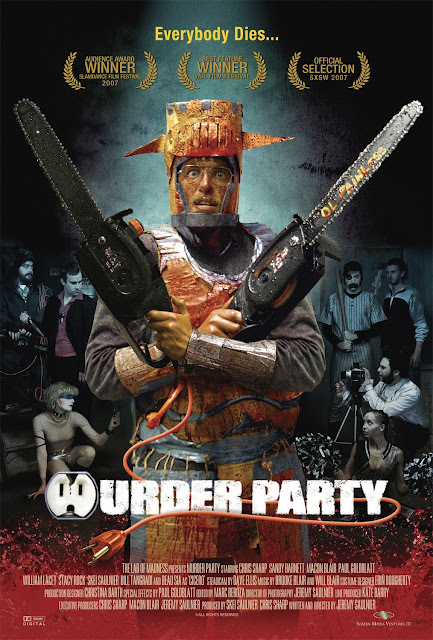 "Green Room" and "Blue Ruin" are far more serious offerings in his filmography, but "Murder Party" is more of a dark comedy. It uses the pretention of these aspiring artists as a source of humor as they try to prepare for something they are totally unprepared for despite all their preparations. The aspiring artists turn out to be their own worst enemies. Since they are each so self-centered and only concerned about their own success, they begin to turn on each other faster than one might think. Overall, this is an effective dark comedy with lots of blood. It is quite humorous to watch these artists fumble and bumble their way through failing at murder and often wind up hurting themselves in the process. You can tell from the get-go that they don't have a damn clue what they are doing, and their talent and methods are questionable at best. This movie has something to say about the subjectivity of art and what art really is. One of its downfalls is that it is paced a little slowly, but it's super short in length so we can deal with the moments where the story drags and gets repetitive. Plus, the final payoff is totally worth the wait. If you are looking for a fun movie to kick off the Halloween season with some jovial but disgusting antics, "Murder Party" is certainly a great option.